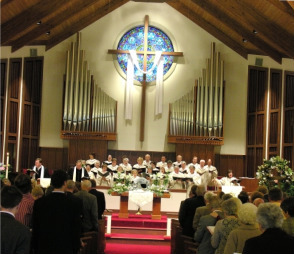 If you like organ music, choirs, and robes, you have the opportunity to allow those means to facilitate an encounter with the Living God, through the Risen Christ, in the power of the Holy Spirit. If you like modern music, moveable chairs, and more, you'll also have the chance to experience an encounter with the Living God, through the Risen Christ, in the power of the Holy Spirit. 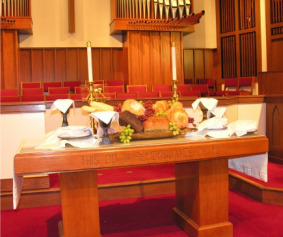 Our Traditional services are held every Sunday morning at 9:00 and 11:00 AM in the sanctuary. Our Modern Worship service is at 9:00 AM in the Family Life Center. Join our congregation in uplifting songs of praise, thoughtful moments of prayer, and Bible study that help us experience Christ and become more Christ-like.